In January 2017, FanDuel has announced that they will be joining other Daily Fantasy Sports (DFS) operators and start offering a fantasy golf product to their customer. While DraftKings has been offering a fantasy golf product to their customers for many years, FanDuel, after much deliberation, has only just decided to step into the arena. The news was first reported by Yahoo Finance on the 17th of January 2017. The DFS company later issued a press release to confirm their foray into the sport. According to the FanDuel press release, the company has been working on releasing a range of new products for their customers in the USA over the last few months. Nigel Eccles, the CEO of FanDuel, said via the presser, “Over the past several months, we have been laser- focused on building a variety of new products such as [the] NBA InPlay and our first fantasy soccer product in the United States.” He also mentioned that as popularity in the game of golf has seen a lot of growth in recent years, it now made sense to add the sport to their list of offerings. 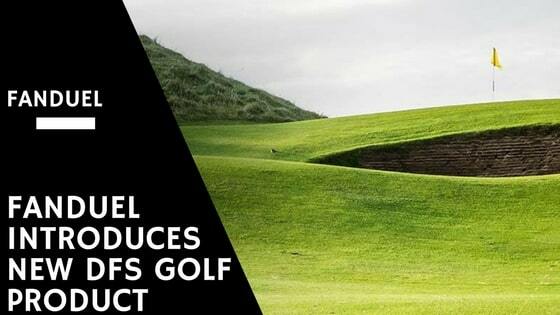 Eccles further said, “As we continue to expand our offerings, and with golf growing in popularity over the past few years, adding a fantasy golf product to our platform is an optimal way to keep sports fans engaged and get them excited for the golf tournaments coming up in 2017.” DraftKings have been offering a golf product for many years and now FanDuel will be join in as well. It is well known that people’s interest in golf as a sport had been waning in recent years. DraftKings’ product, however, helped fantasy golf to grow into a popular segment of the industry in that time and possibly revive some interest in the actual sport of golf. The two DFS operators, DraftKings and FanDuel, are said to be merging later this year. However, it appears that FanDuel’s golf contests will not look exactly like those offered by DraftKings. So far in daily fantasy golf, we have seen DFS users select a roster of golfers from a tournament. The performance of the real life golfers earns points for the user’s fantasy team. At the end of the day, the users with the best line- ups win cash prizes. They also mentioned that their format is designed to make fantasy golf even more exciting for their players. FanDuel said, “This new format offers users greater variety and more strategic options in building their roster of golfers, and will further enhance the excitement of the fantasy golf experience.” The fantasy contests have been scheduled to go live in April, just in time for The Masters. A beta version is expected to precede the official launch. The Masters Tournament is one of the four major championships in professional golf. Their tournament runs for the first full week of April every year and marks the first of the professional games played for the year. It is held at Augusta National Golf Club in Augusta, Georgia. The first “Augusta National Invitational” Tournament, as the Masters was originally known, began on the 22nd of March 1934. Both the game and the grounds have seen a lot of change since the tournaments had first started. With the news of an imminent merger between the two key DFS operators making the rounds, there are certain speculations as to why FanDuel decided to launch their own fantasy golf product at this point in time. There are a couple of theories, and the first one of those suggests that until the merger is finalised each company will have to look out for their own best interests. The two DFS giants currently serve and control 90 per cent of the DFS market. Therefore, a merger would certainly represent a monopoly. This is very likely to raise anti- trust concerns. Proponents of the consolidation deal hope that given the nature of the business the federal government will not object. DFS is a niche industry and there is a chance the federal government will not bring up anti- trust violations with them as they would be expected to do for many other industries. Also, there has been some speculation that one of the companies is in financial difficulty. Under those circumstances, the merger would present itself more like a bailout and could be treated as such instead of a monopoly. However, the merger is expected to face some anti- trust scrutiny as it approaches. So, it makes sense that the companies are not just going to sit back and hold off on progress till a possible merger can take place. Nigel Eccles has been looking into a possible fantasy golf product for FanDuel since at least as far back as 2015. It is likely the company was planning on venturing into the area even before discussions of the merger came about. Going live before The Masters could also have been part of their strategy all along. FanDuel’s recent expansion efforts can be further illustrated by their recent track record. 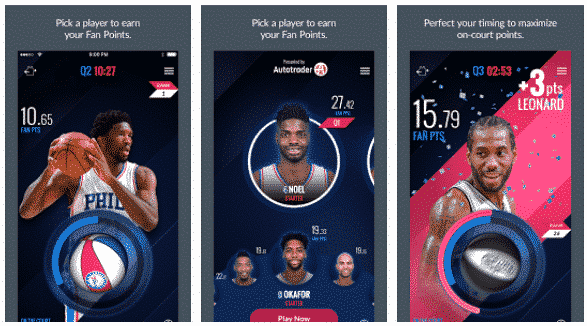 Besides the soccer offerings, they also went live with an in- game fantasy product in conjunction with the National Basketball Association (NBA). Late in December last year, the DFS operator unveiled a fantasy game based on NBA games, called InPlay. Unlike traditional fantasy games, the success of NBA InPlay users is directly tied to viewing live NBA games and making in- game, real- time decisions. Much confusion exists over the legal aspect of such contests in a wide swath of US jurisdictions. As a result, InPlay is not played with real- money entry fees and there are no monitory prizes given out to the winners either. Instead, prizes are given out for the contests. NBA mentioned that the grand prizes for the first round of InPlay winners included USD 35,000 worth of Autotrader credit. Autotrader happens to be the sponsor of the game. The sporting league further mentioned that other prizes include tickets to the NBA Finals. InPlay is available in all 50 states and Washington, DC, but is restricted to users who are 13 years and older. The app, which can be used both on iOS and Android devices, can be downloaded from the App Store and Google Play. On the other hand, launching of the fantasy golf product could have very much been part of the merger plans all along. Although there is a significant overlap between FanDuel and DraftKings user bases, not all FanDuel users are on DraftKings, and vice versa. While fantasy golf is a prime product under DraftKings, FanDuel only players would not have encountered it as of yet. Therefore, with the potential merger approaching fast, FanDuel could be getting their users prepared for a fantasy golf offering. If this is true, FanDuel could soon start offering other sports products that are included in the list of DraftKings offerings but not in theirs. It is interesting to note that the new commissioner of the PGA Tour, Jay Monahan, spoke openly and optimistically about Daily Fantasy Sports in a recent interview with the Golf Channel. Monahan mentioned that the golf organisation has an “open mind” about the relation between DFS and golf. When asked whether Monahan would look into sports betting in the future or keep it absolutely off- limits, he stated that it was definitely something to consider. There is some tension regarding how federal and state laws would apply to a daily fantasy golf product. In 2006, the federal government of the USA passed the Unlawful Internet Gambling and Enforcement Act (UIGEA). This outlawed all forms of online gambling in the country. However, in 2012, a new law was passed that allowed individual states to license online and mobile casinos, sportsbooks and poker sites. They were only given permission to operate within their state borders. In the three years after the law had been passes, as of 2015, only three states in the country had amended their laws to allow mobile and online gaming -namely Delaware, Nevada, and New Jersey. With laws being further relaxed in the country, it is expected that more than five other states will legalise online gambling by the year 2020. The UIGEA also has a further carve out in its language for fantasy sports. This takes into account that DFS is a game of skill. As long as the contests meet the outlined conditions, they should be both lawful and allowed. The UIGEA states, “All winning outcomes reflect the relative knowledge and skill of the participants and are determined predominantly by accumulated statistical results of the performance of individuals (athletes in the case of sports events) in multiple real-world sporting or other events.” DFS has been legalised and regulated in a number of states around the USA over the course of the last year. Most of those state laws mimic the UIGEA language on this front. It is noteworthy that there seems to be a lot of wiggle room for interpretation in this. The meaning of “events” in the context of the fantasy contests could be understood as a single game or something that takes place within a larger tournament or event. For example in the case of fantasy golf, an event could be a round of golf, a player playing a single hole or an entire tournament. No court has ever weighed in on what an “event” is for UIGEA purposes. Nigel Eccles, the CEO FanDuel Plc. has been eyeing fantasy golf for a couple of years. A few years ago, he was questioned on the legal implications of a fantasy golf product. At that time, he said while fantasy golf seemed like a lucrative path to pursue, he would stay away from it due to its legal ambiguity. He then added, “Therefore it would not fall under the UIGEA safe harbour. That does not automatically make it illegal (it may still be a game of skill under state law) but it does make it more risky.” FanDuel’s fantasy golf format has users create different rosters for different rounds of golf. They highlighted that this creates a new strategy element for their users. However, the structure could also be a hat tip to the potential legal concerns. It is a way of killing two birds with one stone. The fact that FanDuel has stayed away from fantasy golf all these years while DraftKings has been offering the sport, could at least in part be because of their legal concerns. Whatever the reasoning is behind FanDuel choosing to launch their version of the fantasy golf games, it could just as well end up becoming the more popular way to conduct daily fantasy golf contests. Under the DraftKings’ format, a user’s golf line ups could be all but dead after one round, if their chosen golfers perform poorly. A second line up within the contest could create more and longer engagement for their players. It also creates a more complicated product for the users in the first place. Users have to put more thought into creating a line up in the first place. There is still some time before we can see what the future of fantasy golf holds. Despite all that, the newest announcement makes it clear that DraftKings and FanDuel are still very much separate companies for now. How a merger will affect fantasy golf amongst other fantasy contests still waits to be seen. This is all provided that the potential consolidation does in fact go through.